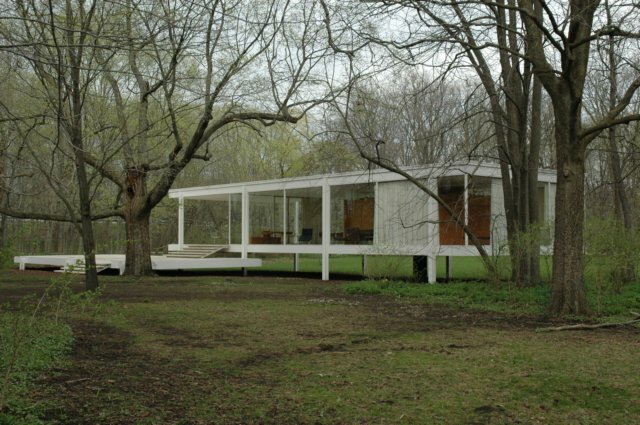 The Farnsworth House by Ludwig Mies van der Rohe. When completed in 1951 it was unlike any known house yet built. The house was commissioned by Dr. Edith Farnsworth, a Chicago Nephrologist.